Life Cycle Of A Writer: Five Years. I’ve written before about navigating March, so today I thought I’d share some of the events that have happened in the last five years – every single one of them came with a ‘I wonder what Mum would have made of this’ moment. 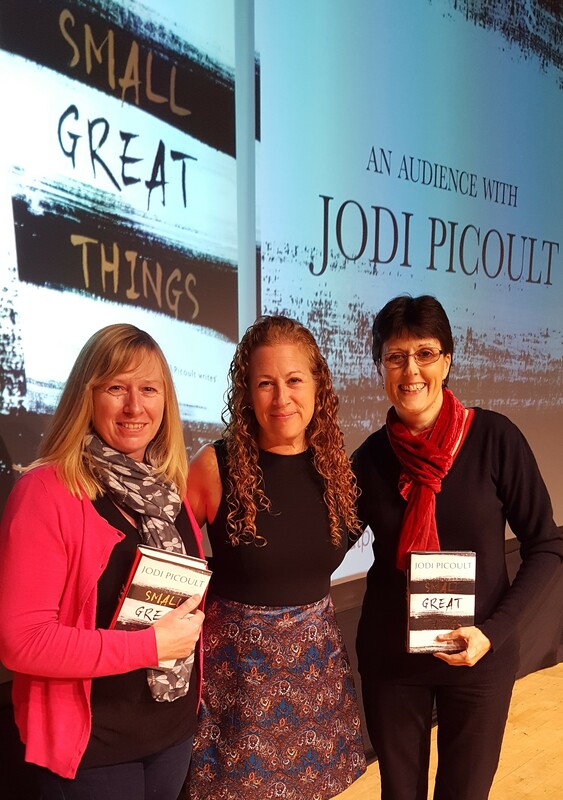 The first was meeting Jodi Picoult. 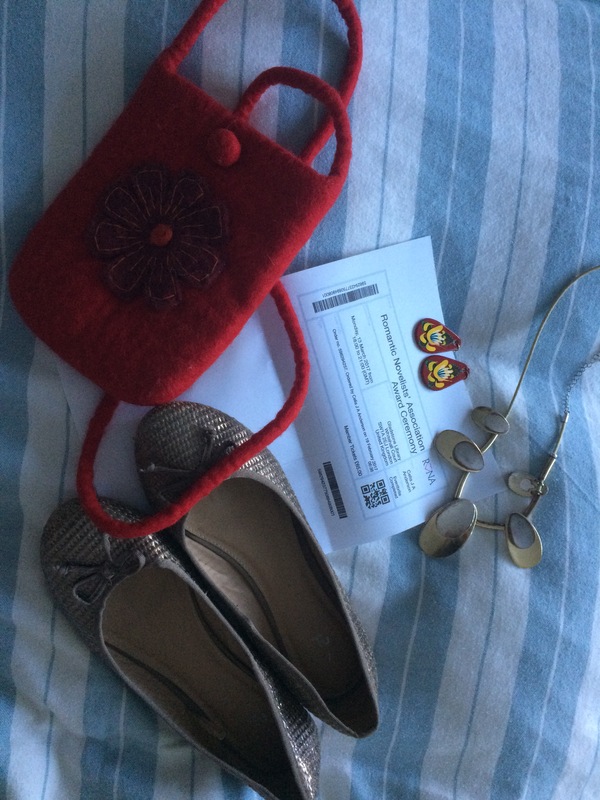 It was a week on from losing Mum, but I wanted to go. My mum had introduced me to Jodi Picoult’s books and I was a huge fan. I have met her three times in the last five years, each occasion an inspiration. Shortly after, I found out I was the runner up in Choc Lit’s short story competition. 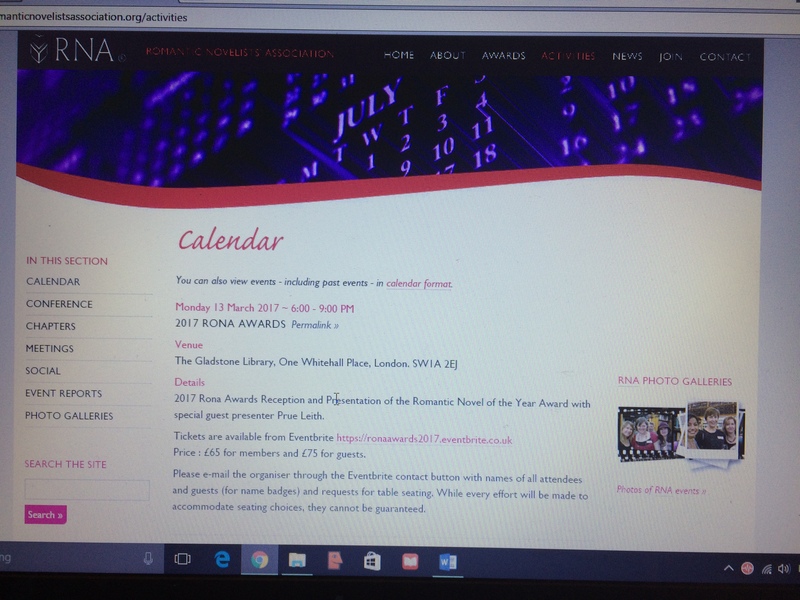 My mum knew I’d entered, she’d even read and critiqued my story, Bitter Sweet, and if I recall rightly, we’d heard it had been shortlisted. It would have been wonderful to have told her about the second place, but I remember how pleased she was with the shortlisting. 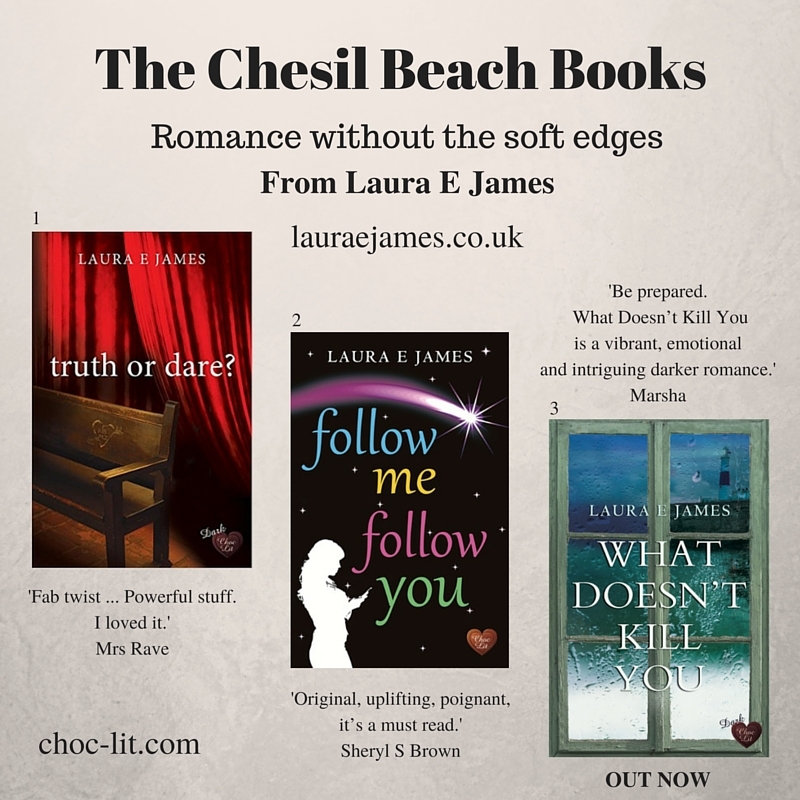 Telling Tales was the runner-up in the next Choc Lit short story competition, and I received a tweet of congratulations from the lovely Erica James. Honestly, I don’t know which I was more excited about. I do recall I was with Catherine Miller at the time, though. 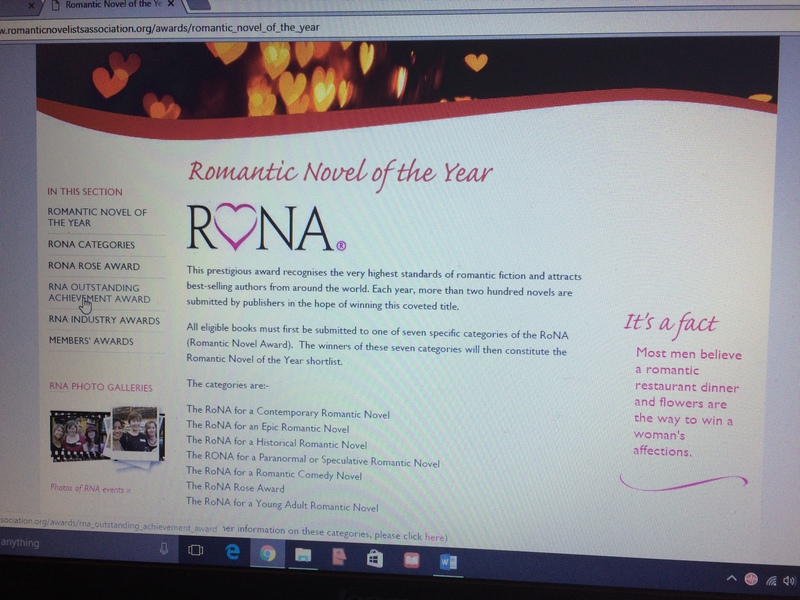 I think we may have been heading to the Romantic Novelists’ Association conference. Do you remember, Catherine? As well as meeting Jodi Picoult, I’ve also met Jill Mansell, Sheila O’Flanagan and Erica James. All are warm, intelligent and entertaining women. All were authors my mother read and enjoyed and whose books she introduced me to, and all are firm favourites of mine, and massive inspirations. I have made many great friends within the writing community, the first few of whom my mum was aware – names with which she would have become familiar had she still been with us. She knew how much writing fulfilled me and how I felt I’d finally found my place in life. I’ve written three novels. I used to say to Mum I would one day ‘write that novel’. She used to tell me to hurry up and get on with it, which still makes me smile. It’s good advice. I feel extremely privileged and very lucky that she read Truth Or Dare?. It wasn’t the first draft, but neither was it polished. It came with colourful language and hot scenes as appropriate, but I didn’t worry too much about those aspects – my mum read widely and didn’t embarrass easily. Her thoughts on the novel were honest, fair and she gave lots of encouragement, but without gushing. Had she not liked the story or the characters, or considered their actions fake or daft, she’d have said. I was writing Follow Me Follow You when we lost her, but I’d told her the plot and how I was exploring attachment disorder and PTSD. 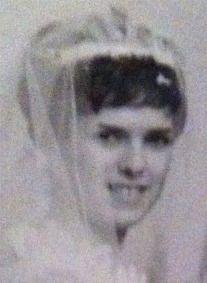 She knew all about Chris Frampton. This became my first paperback. Mum would have loved that. What Doesn’t Kill You was released as a paperback in January of this year, and I attended my second book signing at Waterstones, Dorchester. What would Mum have made of that? As a family, we’ve caught and run with a number of health curve balls, one being of the major variety, which I’m pleased to report appears to be under control. I’ve had joints replaced and joints removed; on top of my long term rheumatoid arthritis and colitis, I picked up a diagnosis of fibromyalgia, which I’m still learning to manage, and there has been a knee dislocation, (not mine) torn knee ligaments, (separate incident, different family member) and perforated eardrums (not mine and nothing to do with my singing). I’m convinced the hospital will start charging the James family rent. Four years ago, we shared a healing three weeks away in Orlando. It was our first family holiday and it was exactly what we needed. Going to Disneyworld was a dream come true. Later the same year, I took a trip to Italy, on the Arte Umbria writing course and came home feeling nurtured and rested, with a way forward as to how to finish writing Follow Me Follow You, which had stalled in March 2012. 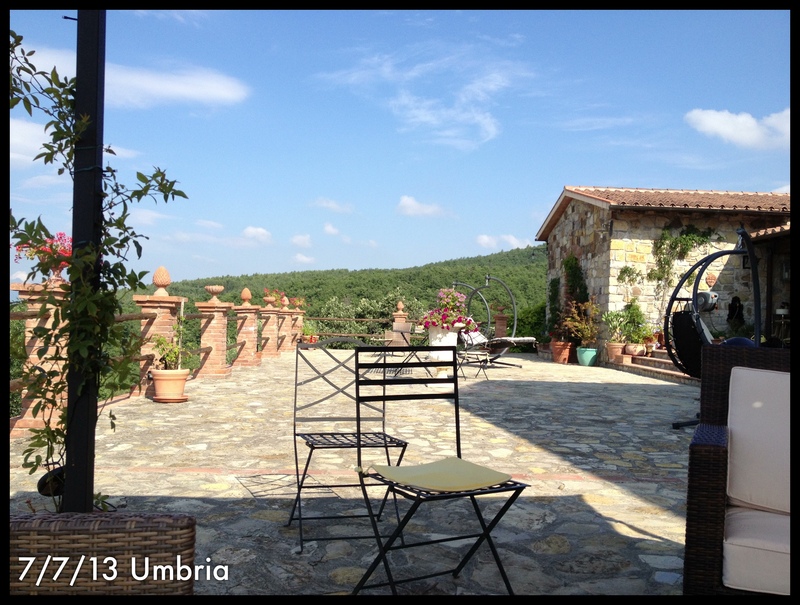 I sat on the beautiful terrace at Arte Umbria and thought how much my mum would have loved to have been there. We’d talked of going to Italy together. She’d have smiled at my news I’d shaken Paloma Faith’s hand, and that I’d seen Kate Bush sing live in London, and she’d have given me excellent advice regarding … well, all sorts of stuff, including a reminder that some things are best kept private. And she’d have made sure I keep on keeping on. So, five years on, with the love and support of family and friends, that’s what I’m doing. It’s head down and on with the work-in-progress. Life. This weeks LCOAW is all about me saying a blooming big ‘EEEEEK’! This is my very first ticket for the RoNAs, and it’s the beginning of a whole new adventure. Over the coming year I’m going to be right in there with the organising people, sorting out the readers etc. for these prestigious awards and making sure everything runs as smoothly as it has for Nicola Cornick. She’s bravely handing over the baton and it’s very exciting but also a tad terrifying, as her organisational skills are second to none. This is a big challenge for me – but what about you? Is there anything coming up in your life that’s making you say ‘eeeek’? The Romaniacs would love to know what it is, so that we can cheer you on and send virtual cake. Which reminds me, I wonder if Prue would like a chocolate sponge? There’s just about room in my case if I leave out the gin and the control knickers. Hope to see you there, I’ll be the one dressed as a book title (The Red Tent).